The Electronic Frontier Foundation on Thursday filed a lawsuit in U.S. District Court in Washington, DC, challenging Sections 1201, 1203, and 1204 of the Digital Millennium Copyright Act, known as the “anti-circumvention provisions,” on constitutional grounds. That, in itself, is not particularly surprising. EFF served as pro bono counsel to Eric Corley in one of the first major cases to test Section 1201 in court and has been an outspoken critic of the law since it was enacted in 1998. What makes this week’s filing notable is its timing and EFF’s apparent strategy. Section 1201 broadly prohibits the circumvention of DRM (“technical protection measures,” or TPMs in the language of the statute) used to protect access to copyrighted works (Section 1203 prohibits “trafficking” in anti-circumvention technologies and Section 1204 provides for criminal penalties for violating Section 1201). In its lawsuit, filed on behalf of a computer security researcher and a technology inventor and entrepreneur, EFF claims the three provisions violate the First Amendment because they prevent people from engaging in what would otherwise be protected speech under the fair use doctrine in copyright law — an argument raised many times before. 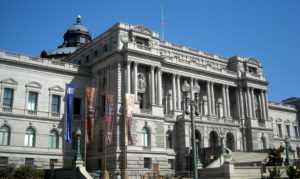 The complaint names the Library of Congress and its sub-agency, the U.S. Copyright Office, which conducts the triennial review, along with the current Librarian, Carla Hayden, and the Register of Copyrights, Maria Pallante, as defendants in the case, alleging they “exacerbated the many failures of the DMCA’s licensing regime by interpreting it to permit vague and unreliable exemption standards…to place the burden of justifying speech on the proponent of speech” and of acting arbitrarily and capriciously in issuing exemptions. As it happens, Carla Hayden is brand new to the Librarian’s job, having been confirmed in her appointment by the Senate only last week. And her assumption of the post is very likely part of the backstory as to why we’re seeing the litigation filed now. Hayden is just the 14th Librarian of Congress in the nation’s history, and only the second in the last 30 years (to say nothing of being the first woman and first African-American to hold the post). 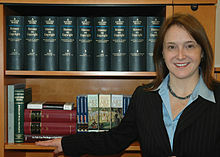 Unlike many of her predecessors, she is also a trained librarian by profession, not an academic, and an outspoken advocated for preserving free and equal access to information, having tangled with then-Attorney General John Ashcroft over the USA Patriot Act while serving as president of the American Library Association from during the George W. Bush administration. Moreover, unlike her Luddite immediate predecessor, who did not use email and was harshly criticized in a report issued last year by the Government Accountability Office for his management of the Library’s IT infrastructure, Hayden has focused on technology throughout her career. That background, as I noted in a previous post, has struck fear in the hearts of copyright group’s in Washington, who were hoping the new Librarian would come from the ranks of the content community and be deferential toward the Copyright Office. The current Register, Maria Pallante, is regarded in Washington as generally sympathetic to the concerns of copyright owners, particularly with respect to the collision between copyright and digital technology. For the past two years, the Pallante has been working closely with the House Judiciary Committee as it conducts a broad review of U.S. copyright law, including overseeing formal policy studies by the Office of Section 1201 and the Section 512 “safe harbor” provisions of the DMCA. The Office is widely expected to propose replacing the current Section 512 “notice-and-takedown” regime with a “notice-and-staydown” requirement — a change devoutly wished for by copyright groups. Pallante has also been an advocate for moving the Copyright Office out of the Library of Congress and making it a standalone executive-branch agency comparable to the U.S. Patent & Trademark Office — a proposal that has been the object of much intrigue on Capitol Hill and among cabinet agencies in recent months. While Hayden has not taken a public position on the move, it’s not one she’s expected to favor, at least not while she’s still trying to find her parking space at the Library. By naming both the Library and the Copyright Office as defendants, EFF appears to be trying to drive a wedge between them — if not between Hayden and Pallante themselves — with respect to the DMCA. Even if EFF ultimately loses the suit (I’ll leave it to the lawyers to debate its merits) it could force the Library to go on record as to how it believes the the anti-circumvention provisions and the rules for granting exemptions should be interpreted. Depending on what the Library says that could leave Pallante and the Copyright Office out on a limb — the easier for EFF and its allies to saw off. Welcome to Washington, Madam Librarian.